Ready To Go zoned development land Proven selling location Established residential area, minutes away from Athlone town centre, Serviced by M6 motorway, 1 Hour from Dublin and Galway. Within easy reach of local amenities including schools, creches, etc. 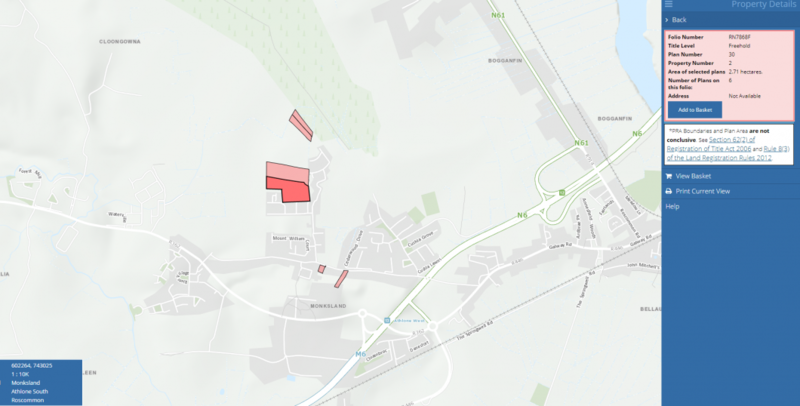 Zoned development land in the heart of Athlone. 4.69 acre site. Fantastic Commercial development opportunity situated in Monksland, Athlone, Co Roscommon. This development is a fantastic Commercial Opportunity to Investor/Investors folio no. RN7868F. Previous ListingBallysallagh, Mount Temple, Co. Westmeath. N37 PD30Next Listing47 St. Francis Tce., Athlone, Co. Westmeath.